Evan Thady is a certified Nurse Practitioner and has practiced in the field of Dermatology for nearly a decade. Formerly, Evan was a research and clinical assistant in women’s health. She trained nursing faculty at the University of Florida in early breast cancer detection. 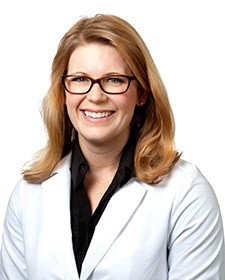 In 2009, she joined Mid Florida Dermatology & Plastic Surgery and has received extensive training in dermatology in addition to working closely with Dr. Michael Gutierrez. To book your appointment with Evan Thady today please call us at (407) 299-7333 or click here.